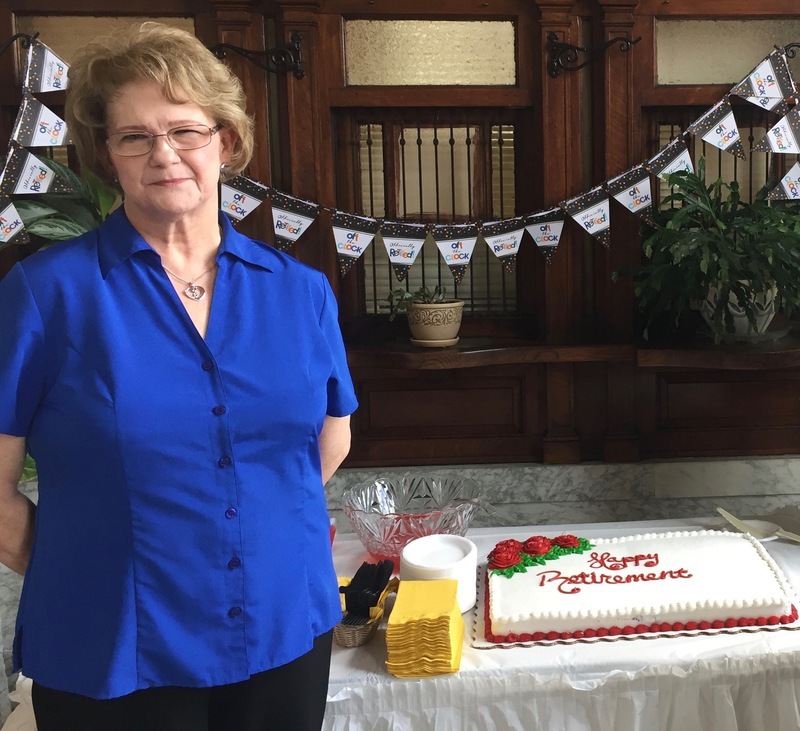 HOPE – Gail Grant’s 37-year tenure in the Hope Public Schools ends June 30 because Grant has realized her philosophy about career. “When you start talking about how things used to be; that’s a sign that it’s time,” Grant quipped. She has been working in the public sector since age 18; and, she began in the Hope Public Schools in 1980 at the same time as her current boss, HPS Assistant Superintendent for Transportation/Facilities Steve Bradshaw. Bradshaw also retires at the end of the month. They met in the main office at BHE when they learned how to file lunch reports on the day before school started. Grant stayed at BHE for 10 years as an administrative secretary, but Bradshaw became principal at Garland Elementary School in 1988. “We diverged; he went one way and I went another,” Grant said. She became administrative assistant to the Hope High School counselor, then transferred into district administration, before taking assignment as Bradshaw’s administrative secretary in the transportation and facilities department in 2013. Technological change has been the most profound change within the district over the years, Grant said. That was the precursor to computers in the early 90s. “There is always something different; everybody has their own kinds of programs,” Grant said. Keeping up with upgrades over the years has been a challenge, at times, she said. “I feel like everywhere I went and the people I worked with; always, I learned something from everyone,” Grant said. She admits that the day-to-day life on campus was more intriguing because of the contact with students. She has fond memories of the relationships she has built among faculty, staff and administrators over the years. Grant recalls a humorous moment from the Whitmarsh era at BHE when she and another staff member were chuckling over an incident involving the principal. That was the era in which the principal’s office at BHE had a private outside entrance. But, Whitmarsh never said anything. Many of the changes to the district through the years have been generational, particularly involving bus drivers and the district’s transportation responsibilities, she said. School bus drivers have since been doubling-up to cover the vast area that is the Hope Public School District, she said. She has noted, over time, parents have had less contact with their children’s bus drivers. What’s next for Grant? “I’ve been working since I was 18,” she said. “I want to enjoy being a homemaker for a while.